Texas Southern University is pretty proud of its adopted son Michael Strahan and with good reason. 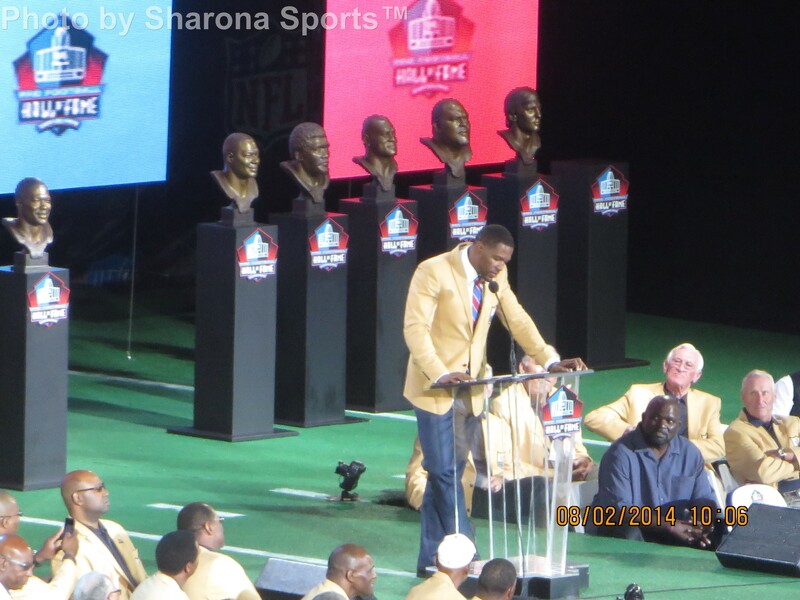 Strahan had a long road to the Pro Football Hall of Fame and that road went straight through Houston Texas and TSU. Strahan was born in Houston, Texas but spent the better part of his growing years in Germany where his military father was stationed. Strahan only returned to Texas as a senior in high school and that was when his football journey really began. He had played some organized football in Germany as a linebacker but really began to play the game while going to school in Texas where football is king. He showed an amazing aptitude for the game his senior year and was offered a scholarship to attend Texas Southern University in Houston. In attending TSU, Strahan was following in the footsteps of his uncle Art Strahan who also played there and who went on to play defensive end for the Houston Oilers and Atlanta Falcons in his seven year NFL career. Strahan learned the finer aspects of the game playing against his uncle in the family front yard. Strahan also learned a lot about discipline and toughness from his father the military man. Finally, he learned and matured from his coaches at TSU. From there the rest is all history. Strahan dominated in college and quickly earned a name as a promising draft prospect. The awards he amassed in college would fill a book. In 1993, he was drafted by the New York Giants in the second round (40th overall). Thus began a relationship that would last a decade and a half. Strahan’s Giants career is virtually unparalleled and unlikely to be replicated in today’s NFL where free agency means most players no longer finish their careers with one team. Strahan played an astounding 15 seasons for the Giants. Not only is his career extraordinary in his longevity but also in his longevity with the team who originally drafted him. Strahan was eligible for the Hall of Fame in 2013 but was not selected. In his second year of eligibility he was selected to the Pro Football Hall of Fame Legends class. In his induction speech, Strahan talked about his father’s influence, his uncle teaching him the game, and the great coaches he had at TSU. The love and respect he has for TSU shone through in that moment. The respect Strahan carries for TSU was also shown when he donated $100,000.00 to the Ocean of Soul, TSU’s award winning marching band. With a $50,000.00 donation also from comedienne Kevin Hart as well as other pledges, the group was able to travel to Canton, Ohio to perform at Strahan’s induction. In speaking with those who made the trip, it is clear Strahan’s respect is reciprocated tenfold. TSU is proud of it’s adopted son and the band was ecstatic to make the trip. They did a great job as well as many people in attendance over the weekend remarked about how much they enjoyed listening to the band play a wide range of music. At 6′ 5″ and roughly 255 pounds, Strahan is a big man who played the game of football with passion and dedication. He took that passion and dedication into his post NFL life where he has forged a career in television. His engaging personality has made him a huge success as he took over for Regis Philbin and his now a cornerstone of Live! With Kelly and Michael. Even more importantly, the big man isn’t afraid to show he has an even bigger heart. You can listen to my interview from some of the TSU delegation attending the ceremony here.